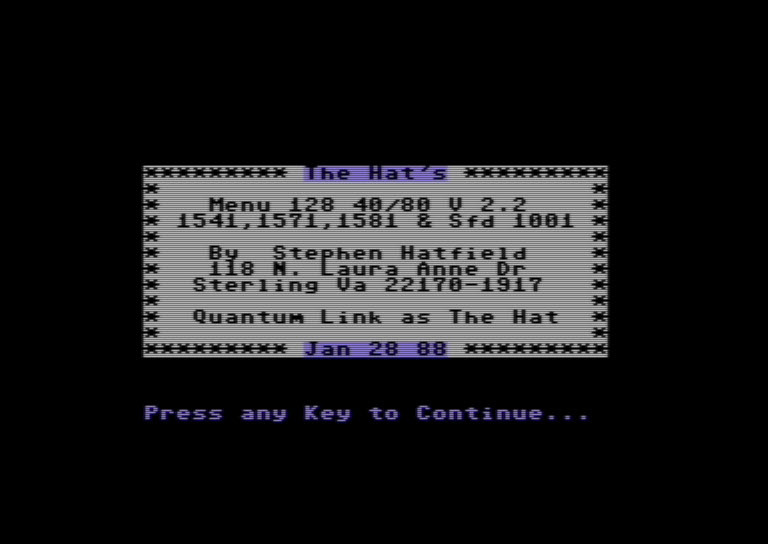 Written by Stephen Hatfield, January 28th, 1988 - This nice 40/80 column utility will dynamically create a menu from programs on the disk. It also has the ability to print out the listing. By Buckeye Bill on 04/08/1987 - This is one of the nicest automenu tools I have seen with several options for menu types. Don't know a whole lot about this program other than I really like it. 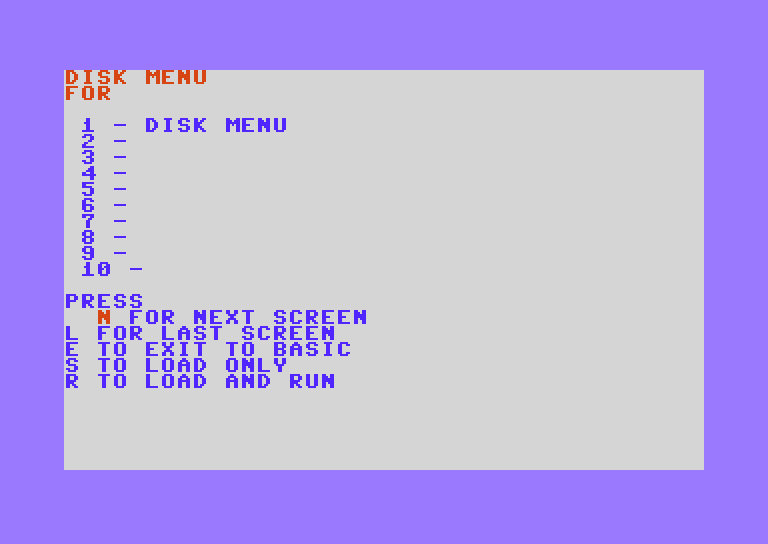 AA Menu is a disk menu / program launcher that is nicely laid out with two columns and arrow key selection. It can be used on any disk without having to create a menu by hand. 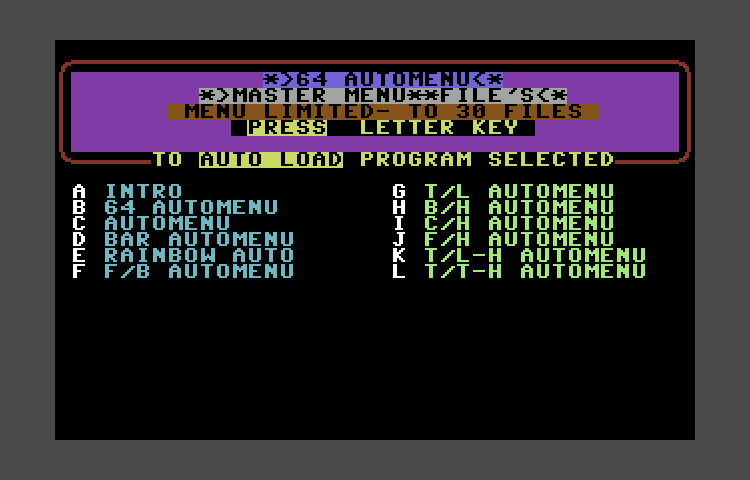 Automenu 128-Ramlink is a menu program designed for the Commodore 128 and the CMD Ramlink and only works in 80 column mode. There are some docs included in the archive. 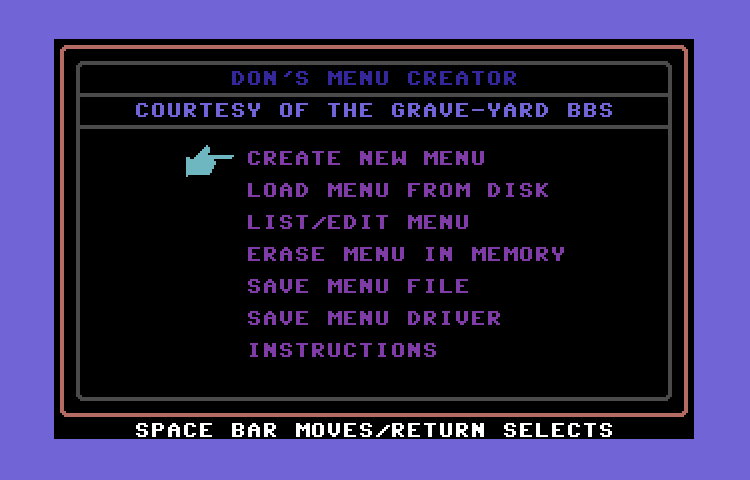 BB Menu Maker is a user-friendly menu maker that is easy to use for creating a menu that lets you load / launch programs on your disk. Boot is a small auto-starting disk menu. 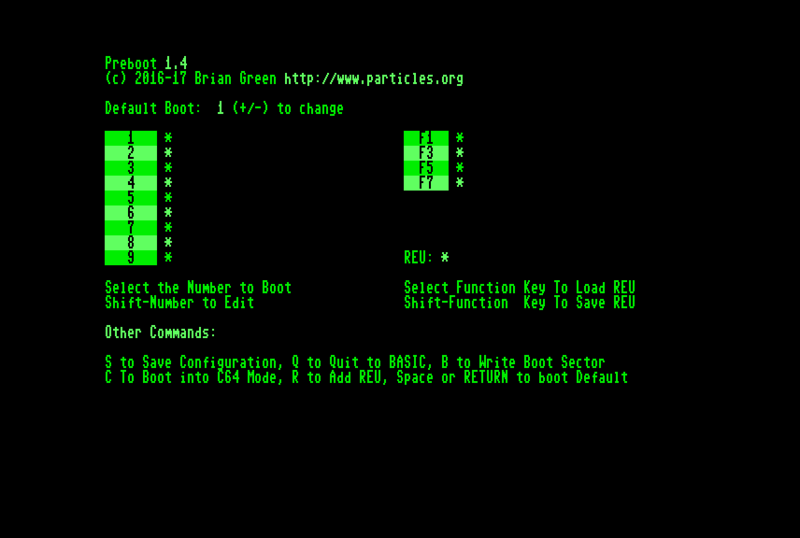 You can drop "Boot" on to any disk and it will auto-generate a disk menu when it's run. The cursor keys let you navigate the menu and pressing return will launch the program that's hi-lighted. This is a nice utility to have on a disk with a bunch of programs because it is a menu system that dynamically builds the menu each time it's run, so you don't have to worry about the program name changing or adding more stuff to the menu. 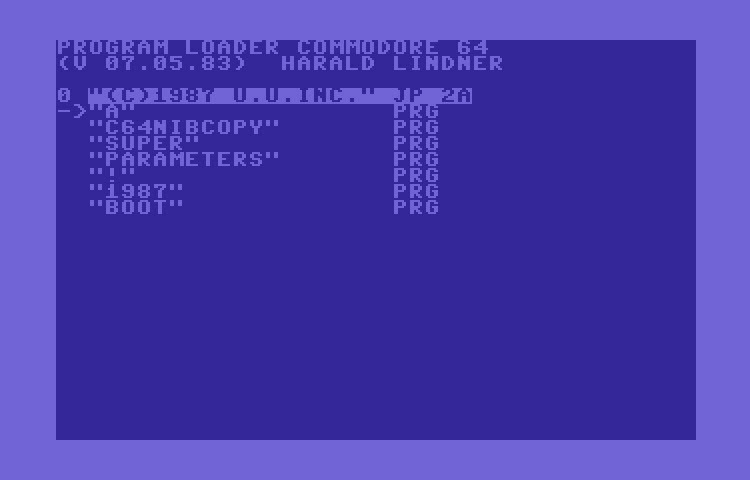 By Harald Linder v 07.05.83 - This is one of those little utilities that can really be appreciated when you have a bunch of programs on a disk. This small ML utility will dynamically create a menu from the files on a disk when run and let you use your arrow keys and return to launch a program. 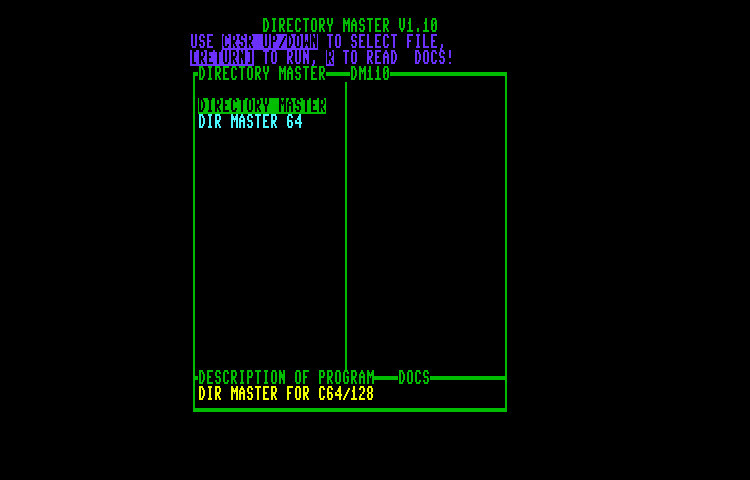 Directory Master is a disk menu program, used to simplify loading of disk files. 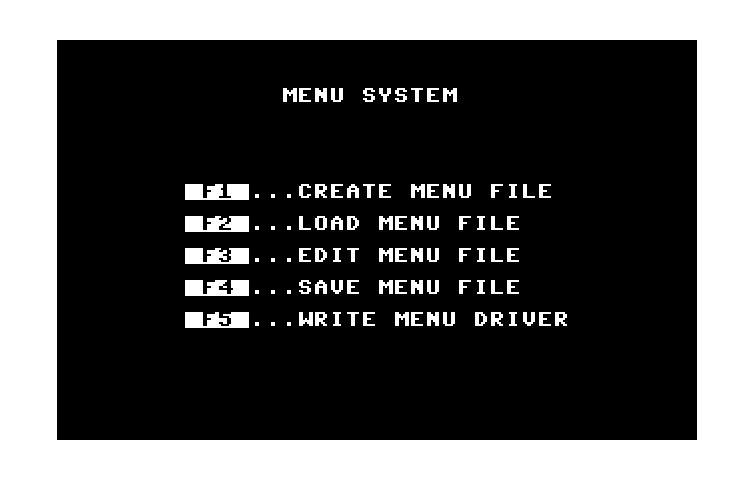 It displays what computer the program will run on, the screen format, and allow the user to read the docs if available, in a menu format. Docs are on disk. 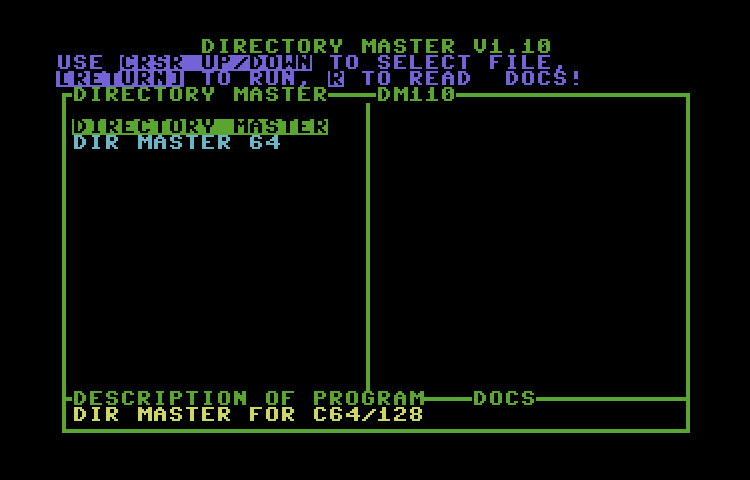 Directory Master is a disk menu program, used to simplify loading of disk files. It displays what computer the program will run on, the screen format, and allow the user to read the docs if available, in a menu format. Welcome to dirmenu for CBM! This code was written under cc65. 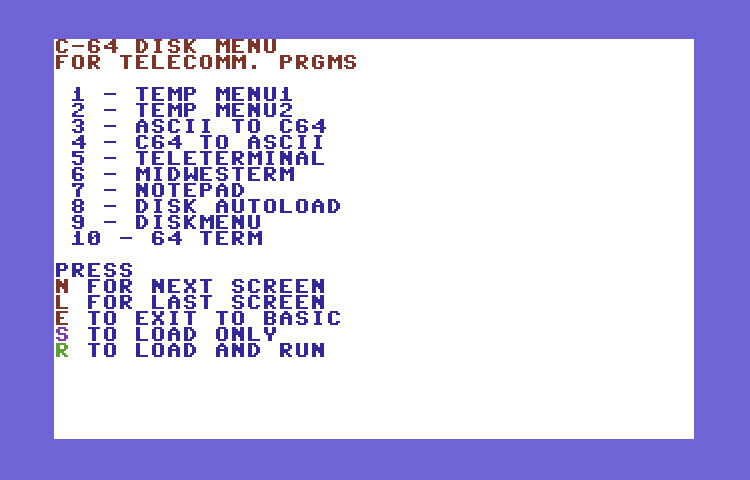 This program is a menu program and allows a user to select which program on a disk to run. Put this program first on a disk or disk image, and once a user runs the disk, he/she will find a menu that selects a program to run. Its usage is simple: run the program, use the up and down cursor keys to select the program to run and press Return, or press Run/Stop to cancel. 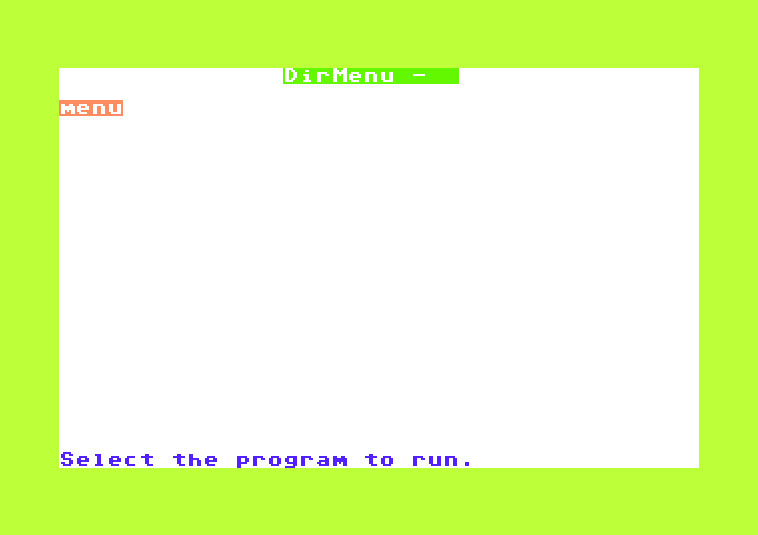 DirMenu v2.00 is a program for not only the Commodore 64, but also the Commodore 128 and Commodore 16. Although the color choices for the program are horrible, it is really a nice and FAST program launcher. V2.00 adds support for the 1581 drive and even partitions. 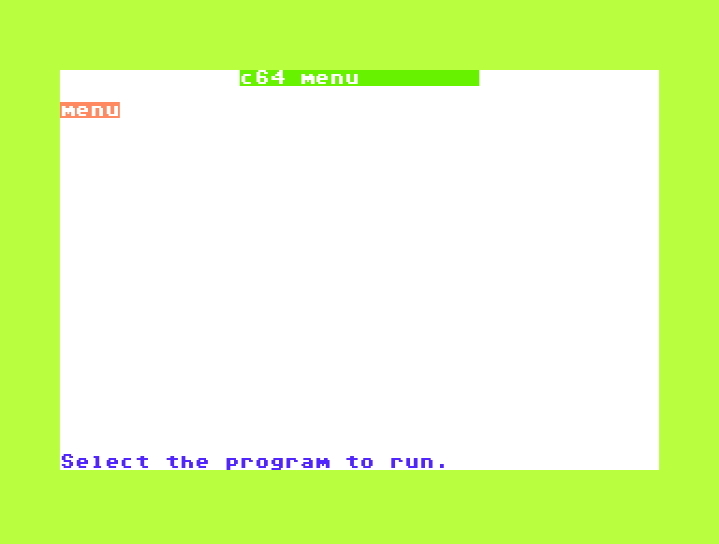 This handy little BASIC program will create a menu program for launching other stuff on disk. It is really well thought out and easy to use. Has pretty much every function you'd want for a menu creator. 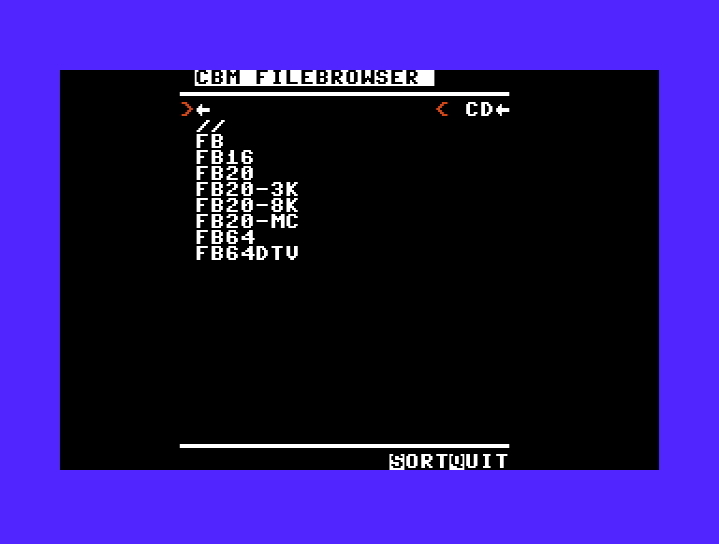 FIBR is a file browser for the C64 and shows directories of original Commodore floppies, SD2IEC (MMC2IEC) and MMC64. 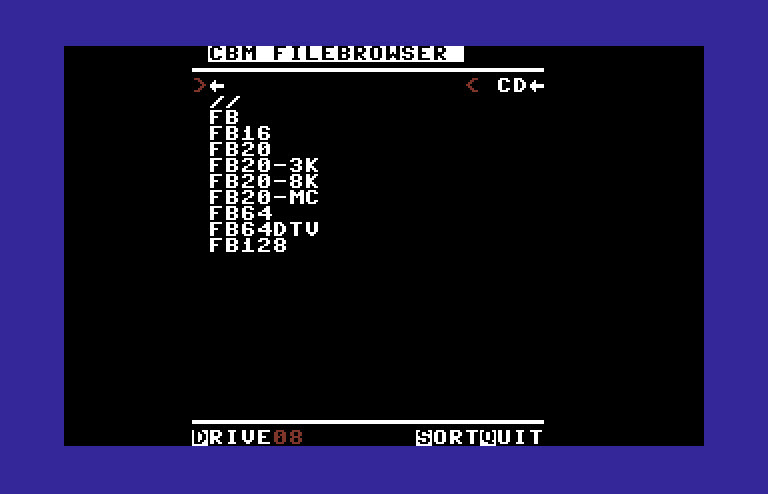 FIBR can also display the directories (for example, hard disk images) from the emulators VICE and Power64 (also case-sensitive). Our goal is to support the most common Cardreader and hard disk interfaces in the future. The browser is completely programmed in assembler and is extremely fast and compatible. It supports long filenames, directories and D64 images. FIBR has a specially designed interface for this purpose with a modified character set and (in a later version) selectable color themes. The design is very clear and functional, the font is legible. The letters are smaller than normal C64 characters to increase the line spacing for better readability. You can switch between different views (1 window or 2 windows horizontally or vertically) and jump between the windows via the control key. There is a proportional scroll bar and too long names are shortened cleanly. Released by Frank D. Mapp on January 1st,1989. 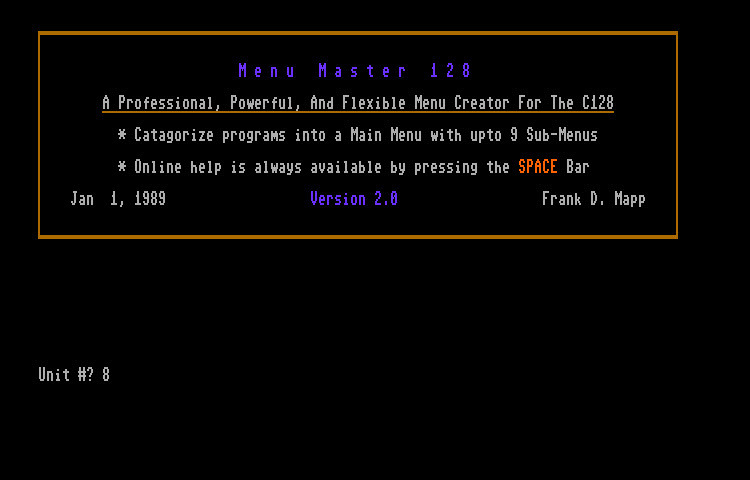 Menu Master 128 is a professional, powerful and flexible menu creator for the C128. Menu Master 128 is a disk utility that will let you create very professional menus for all of your disks. This is an 80 Column program. Program notes are on the disk. Menu system is exactly what it's name says - A disk menu system. This 100% BASIC program is easy to use and full featured. 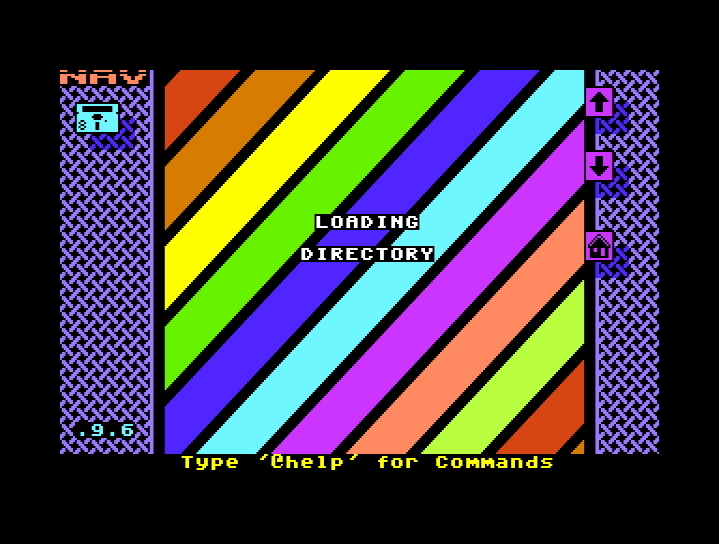 Early version of the NAV disk menu for the Commodore 64. More drive icons. The font has been improved, directory listings look better. LOAD and RUN the CHANGES program to read the complete changelog. As before, type “@help” in NAV to get a full list of features. Unfortunately, NAV still does not work with the Final Cartridge III. Sorry. It seems as though there is a way to temporarily disable the FCIII to allow it to work with NAV… but I can’t figure it out… yet. Feel free to drop me a line if you think you can help. 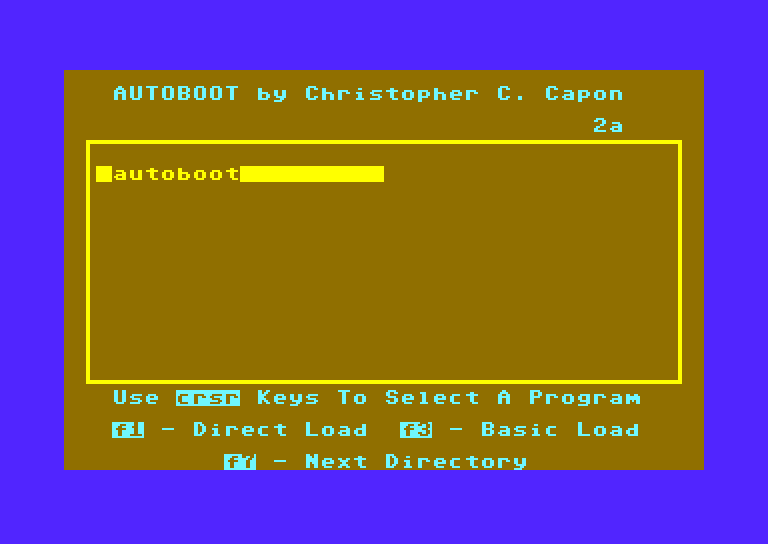 Preboot (currently at version 1.4) is an auto-boot menuing system I’ve created for the Commodore 128 in 80-column mode out of necessity. I own a CMD-HD (and clones) and when I turn on the 128, it boots whatever my default partition is – normally Wheels 128, or GEOS, or something else. If I don’t feel like booting into one of those systems, I have to RUN/STOP-RESTORE it before it boots too far. This is where the name Preboot comes in. What is it? Another filebrowser for standard disks and mass storage devices (sd2iec). Seabrowse 1.3 was released on 1-31-16 by by Seanser/CCB - This handy disk menu program makes it easy to navigate and launch programs on mass storage devices such as the SD2IEC / uIEC SD and CMD HD's. 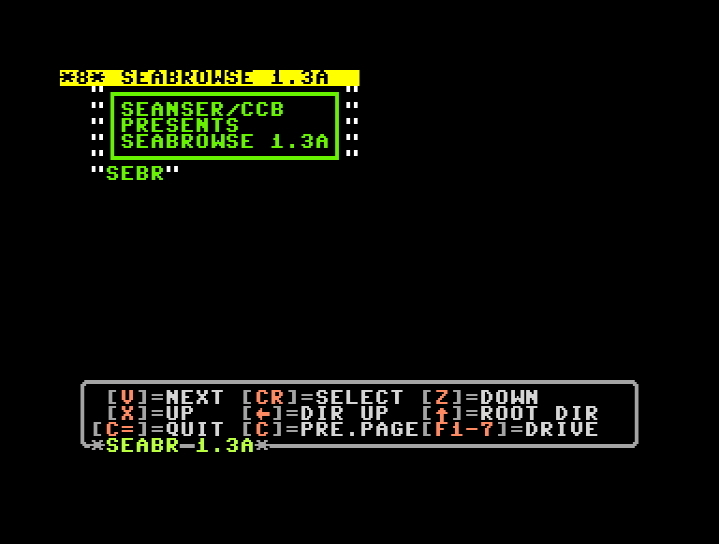 Seabrowse 1.3a was released on 2-4-16 by by Seanser/CCB - This handy disk menu program makes it easy to navigate and launch programs on mass storage devices such as the SD2IEC / uIEC SD and CMD HD's. 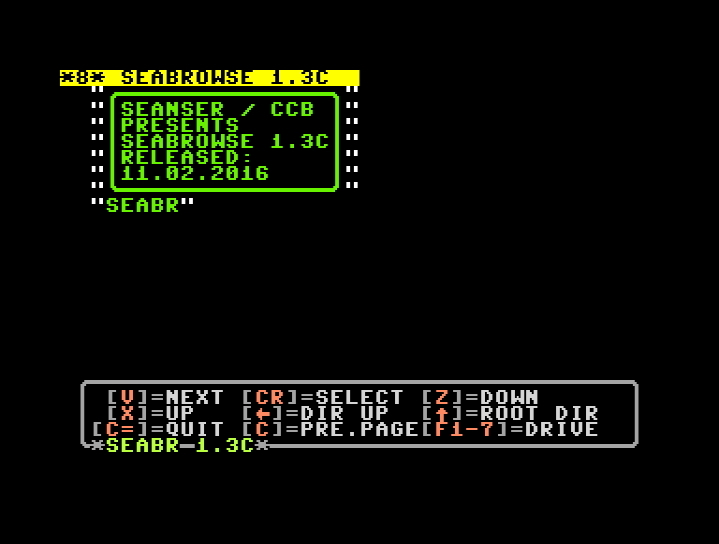 Seabrowse v1.3c (2-11-2016) by Seanser/CCB. This really cool disk menu creator is able to create a fast load menu for programs that are more than one file. 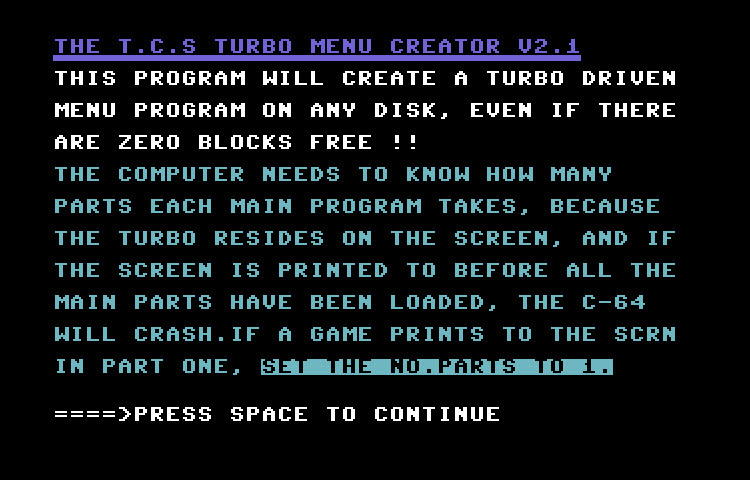 It is also able to create a menu on disks with zero blocks free! 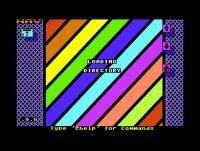 By Alan Reed, WGM is a really nice disk menu with a graphical interface and mouse support. Written entirely in DotBASIC, some of the other features include: Ability to play music, ability to read and display Edstar text files, custom character set and much more. Docs included on disk.